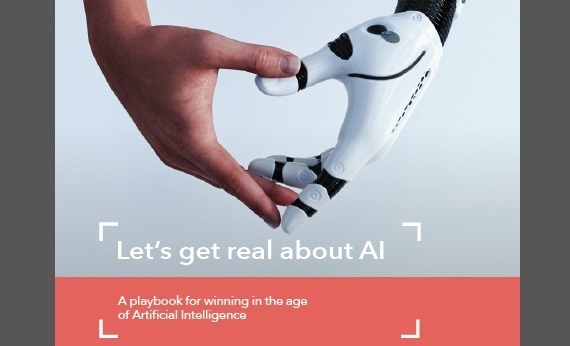 OC&C Strategy Consultants latest report, Let’s Get Real About AI, 71% of C-suite indicates that firms have already invested in AI and 86% say they have missed business opportunities because they did not invest in the technology sooner. The new AI report from OC&C Strategy Consultants is launching on Monday 11th February. Titled, ‘Let’s get real about AI’, the report was created from a survey of 400 C-Suite executives and thought leaders in the US and UK, including 80 deep-dive interviews. - 71% of UK and US C-Suite executives have already adopted AI in their businesses. - In 2018, businesses invested $219bn in AI. This annual global spend is set to grow to $400bn by 2025 and account for 10% of all IT spend. - 85% of C-Suite executives believe they have missed business opportunities by not using AI sooner. 1. The opportunity is to grasp AI as a wholly transformational catalyst – not merely as disjointed proof of concepts, pilots and/or experiments addressing a narrow functional problem. 2. Business leaders must work to demystify AI and think about how AI can transform key parts of their business functions or value chain. To do this, executives must be educating themselves about AI, rather than relying solely on experts. 3. Businesses should think creatively about how AI could change or disrupt the industry and their own business model. 4. CHROs need to reimagine workforces and organisational design to ensure AI can be implemented seamlessly. You can find this data and more in my latest survey report on Clutch.